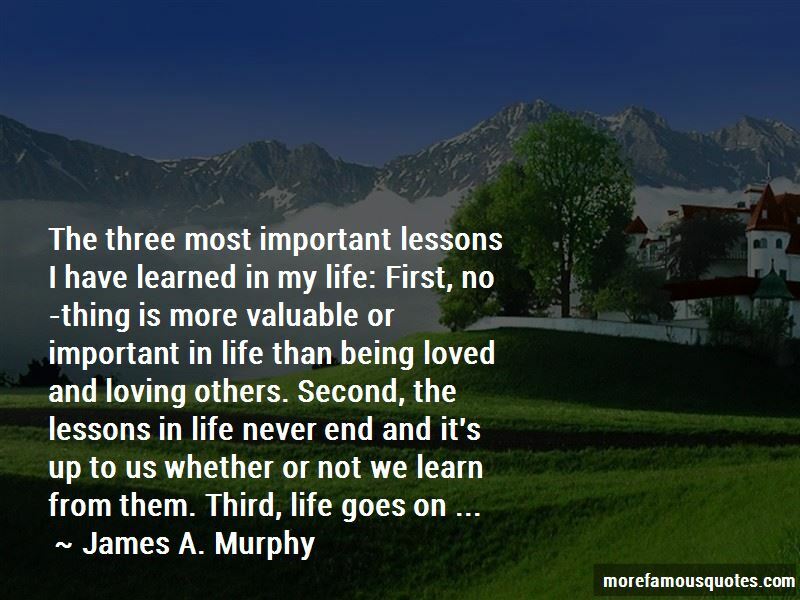 Enjoy the top 51 famous quotes, sayings and quotations by James A. Murphy. Faith is about going through hell, coming out with some scars, and becoming a wiser person from the lessons you've learned along the way. You must take the scars of your past and appreciate them for what they have taught you. You also have to take the scars, the lessons of your past and not let them control your future ... .
Have you ever noticed how we often live on the surface of our lives? 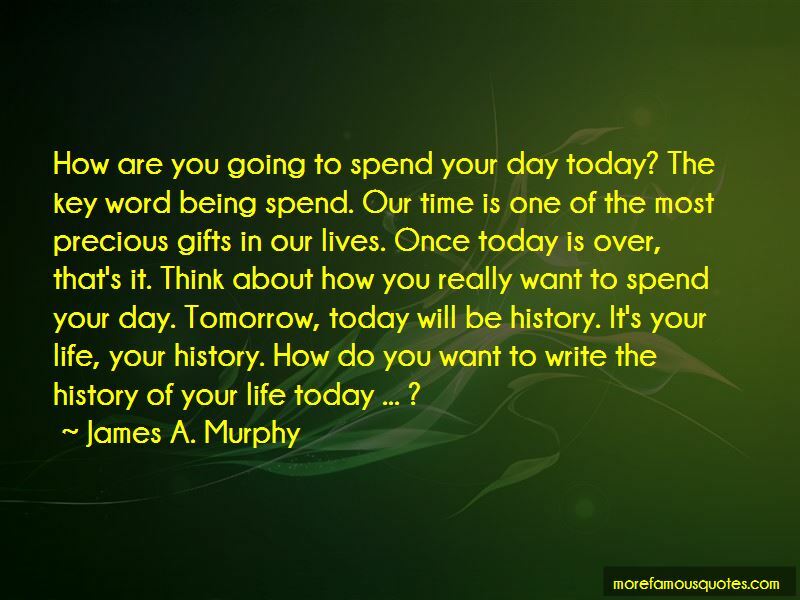 Each day is like the previous day. Time passes, and we continue to feel like we're living a life less than we deserve. So, dive deeper into your life, and discover what lies below the surface ... .
Do you ever feel like you're on the wrong path in your life? What if I told you there is no wrong path? Every path in your life is always the right path, the perfect path. So I say enjoy the view and appreciate that the path you're on, is leading you where you need to go ... . I'm one day closer ... ! Be yourself, because really, who else can you be ... ? 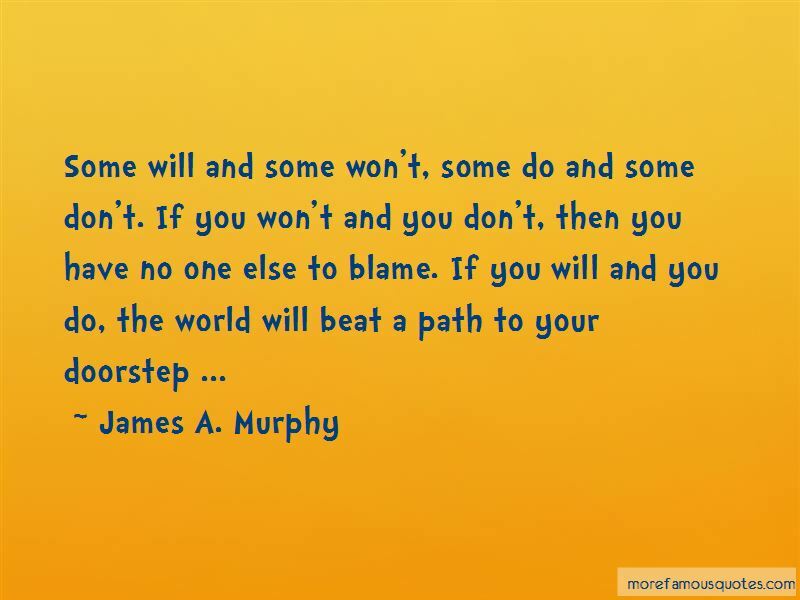 Want to see more pictures of James A. Murphy quotes? 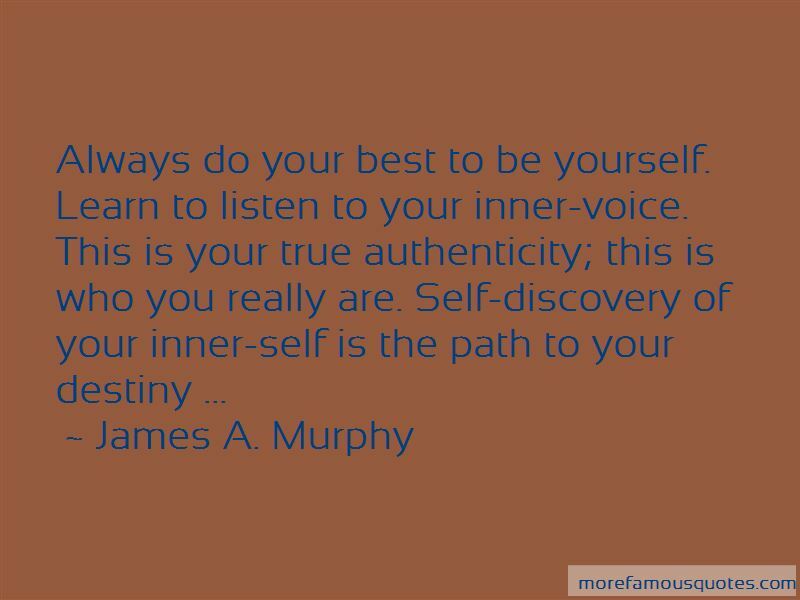 Click on image of James A. Murphy quotes to view full size.